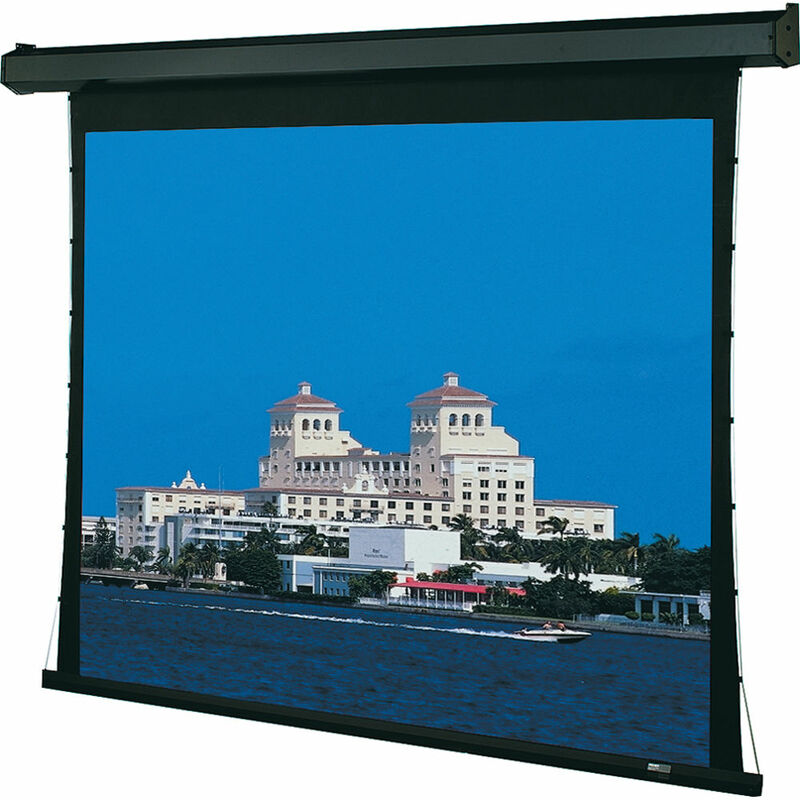 The black, 120V 101641FNLP Premier 72.5 x 116" Motorized Screen with Plug & Play Motor and Low Voltage Controller from Draper is designed for wall or ceiling mounted installation. It features Draper's Tab-Tensioning System to hold the surface taut and keep it wrinkle-free. The projected image is framed by black masking borders at all sides for enhanced contrast. It uses a motor-in-roller system, which is mounted on special vibration insulators, so the screen operates smoothly and silently.